Construction is humming along at the site of Dickies Arena in Fort Worth, and Monday marked a milestone as the last beams were put in place. "It astounds me how quick it's come up," said Fort Worth Mayor Betsy Price. "In the past year everyone in the city has watched this and piece-by-piece they've been watching the dome go on. It's exciting. Time is really flying." To celebrate the beam occasion, a customary "topping out" ceremony was held complete with a tree placed on one of the beams. It's a tradition dating back more than 1,000 years when Scandinavian builders put tree limbs on the highest point of construction sites to ward off evil spirits and bring good luck. So far, the arena hasn't needed any luck in booking events as it already has visitors lined up through 2022, including March Madness! "This can be configured from basketball to rodeo to concerts," said Price. "The worst seats in the house are actually very good. Adds a lot more suites, a lot more entertainment area." The 14,000-seat arena is on track to open in November 2019. But before that, the next milestone workers are looking forward to is sealing the building so they can turn on the air conditioning! City staff has proposed a list of projects that will go a long way toward improving the safety, walkability and accessibility of the thriving West Seventh Street neighborhood, one of Fort Worth’s fastest growing areas. The proposed changes have been brought about primarily by a 38 percent increase in overall crime in the area from 2015 to 2017. Most crimes occur on Thursday, Friday and Saturday nights between 10 p.m. and 3 a.m. and involve bar patrons. Common crimes include burglary of vehicles, public intoxication and fighting. City staff worked with 26 businesses, three civic organizations, three neighborhood associations and other stakeholders to develop a slate of recommendations. 25th Anniversary Celebration: Thank you to our event sponsors to date! As CDA enters its 25th year of service to the community, we are looking forward to enjoying a special evening with many of you at our upcoming banquet! Please join us and Fort Worth Mayor, Betsy Price, as we commemorate 25 years of amazing growth and development on March 7, 2018 at the Kimbell Art Museum. At the Banquet, generously presented by Regions Bank and UNT Health Science Center, we will take this opportunity to honor those who have been our most important partners over the years – the staff members of the City of Fort Worth. Together, we can say thank you and recognize the essential role that these staff members play in the growth and success of the District. City Manager, David Cooke, and several members of the City’s leadership team who have worked most closely with us have been invited to accept the honor on behalf of all those to whom we owe our appreciation. Quentin McGown, Tarrant County judge and notable historian, will take us on a tour of our interesting past while City Manager David Cooke will address where we are and what is on the horizon. Thank you to our generous sponsors to date including UNT Health Science Center Regions Bank, JaGee Properties, Amon Carter, Kimbell Art Museum, Republic Title, Inwood National Bank, Centergy West 7th, Legacy Texas Bank, VLK Architects, the Modern Art Museum, American National Bank & Trust, and Kensington Properties. Tables and individual seats a filling up fast so please reserve yours today if you plan to join us! Mufasa, a 1,329-pound European crossbred steer shown by Ben Bezner of Texline, sold for $200,000 during the Sale of Champions. The steer was purchased by Ross Perot Jr.’s Hillwood Properties during the annual sale of the best junior livestock at the Stock Show, which ended its 23-day run on Saturday. Bezner said his money will be used to pay for college. Saturday’s Sale of Champions featured 291 top steers, barrows, lambs and wether goats. They were among the more than 11,000 livestock shown by FFA or 4-H students at the Stock Show. Mayor Betsy Price will detail her outlook for 2018 and report on the past year’s advancements at the Fort Worth Chamber of Commerce’s annual Mayor’s State of the City Address and Luncheon Feb. 20 at the Fort Worth Convention Center, 1201 Houston St.
Click here to find out more about the State of the City. The start of construction on an alternative for motorists trying to navigate the Cultural District and the West Seventh corridor is scheduled for February 2018. Hear the construction schedule and impacts to traffic at a community meeting scheduled for 6 p.m. Feb. 12 at the Fort Worth Botanic Garden, Camellia Room, located at 3220 Botanic Garden Blvd. The city’s Transportation & Public Works Department will meet with residents and business owners to outline construction activities, road closures and timeline. An eastern extension of Trail Drive will link University Drive and West Lancaster Avenue, improving mobility in the Cultural District and West Seventh area. View the upcoming meeting flyer here. Fort Worth’s Will Rogers Memorial Center (WRMC) has been named the League of Agricultural and Equine Centers’ 2018 Facility of the Year. The award recognizes a league member facility that has demonstrated excellence in the management and operation of an equestrian or agricultural center. Facilities that host equine, agricultural and multi-use events are eligible. The league takes pride in its member facilities that excel in providing their communities with a safe and enjoyable space for all types of events and educational opportunities. The Tarrant Transit Alliance invites you to take a stand for improved Public Transportation! Last Fall, the Fort Worth City Council leaders said they would look at the interim budget to see if there are savings that they could re-direct to improving the transit system. 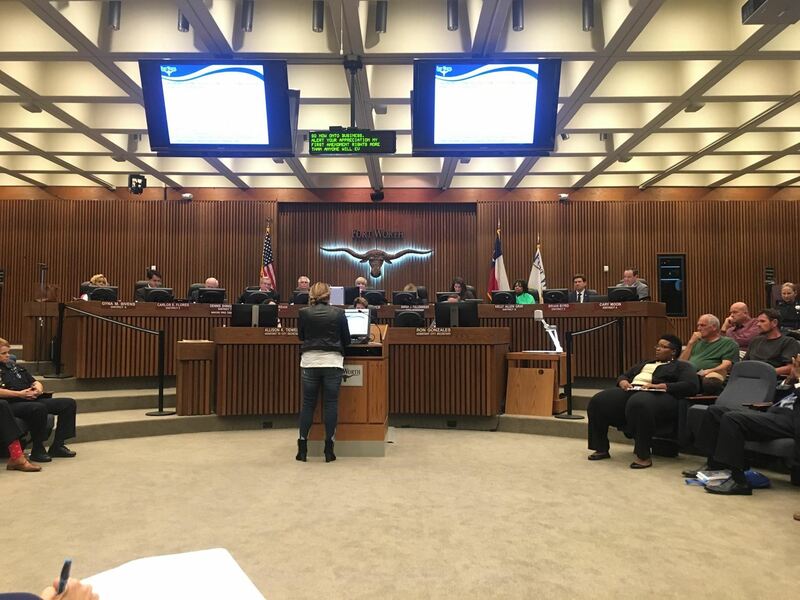 On Tuesday, January 30 at 7:00 pm, supporters of transit in Fort Worth will head to City Hall again to advocate for transit systems remaining a City priority. 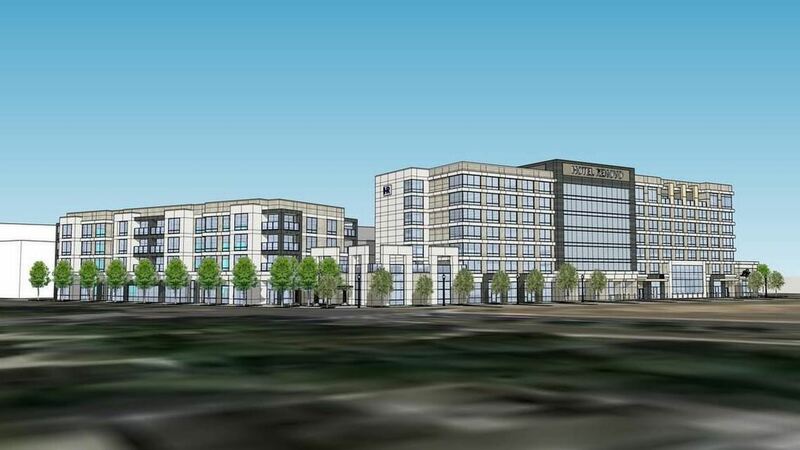 After being told earlier this month that it would not receive a promised tax incentive from the city after all, the developer of the controversial Hotel Renovo planned near the Kimbell Art Museum on Camp Bowie Boulevard is pulling the plug on the project. The Kimbell argued against the hotel’s initial design, contending that the planned height would “loom” over its property, affecting in particular an interior courtyard that features a famous sculpture. It's rodeo time, y'all! The 122nd annual Fort Worth Stock Show & Rodeo begins Friday, January 12th, with this year's theme "Buck, Sweat & Steers." 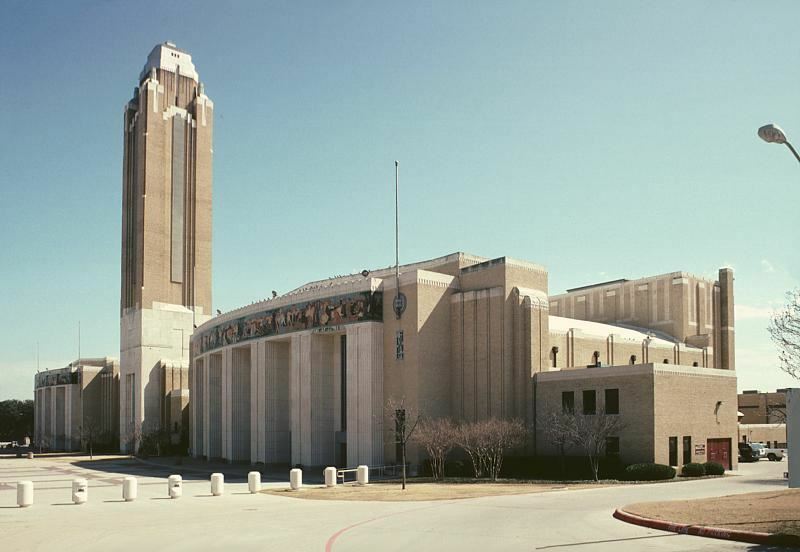 The show will run through Feb. 3 at the Will Rogers Memorial Center. A press release from the Fort Worth Stock Show & Rodeo below described the annual event, "Regardless of style or taste, there's something for everyone at the Stock Show. Children and adults alike can enjoy events, activities and exhibits related to livestock, agriculture and the food industry. Hot regional music acts entertain crowds and the carnival midway is a blast not only for the kids but the kids at heart." Read more about the event from NBC5 here. Click here to visit the official website for the Fort Worth Stock Show & Rodeo.